In the 21st century, dentistry has evolved to a great extent in various fields of dentistry. Dentists are able to improvise their skills as well as ensure that the patients are able to get the best dental treatment done for themselves. Cosmetic dentistry has made a mark in the recent times in the field of dentistry. In the recent years, more number of individuals are finding various ways in which they can improve their dental health as well as ensure that they can have the best aesthetic smiles with them for rest of their lives. There are several treatments which lead to a fantastic creation of the smiles. Moreover, there are several treatments which fall under the field of cosmetic dentistry. This includes the veneers, laminates as well as the composite bonding and many others. The choice of the cosmetic dentistry treatment depends on the type of the treatment and the condition of the patient. Veneers are one of the most commonly preferred cosmetic treatments in the recent times. In case the patients have crooked teeth or shifted teeth which do not require any kind of orthodontic treatments then the veneers are one of the best treatments till date. The teeth whitening procedures lead to whitening of the smiles and turn yellow teeth into beautifully white smiles. The cosmetic dentistry ensures that the treatments done focus more on the aesthetic part. The confidence of the patients is automatically increased manifolds. This leads to a better lifestyle in every way. Patients now look for options in cosmetic dentistry to have a better approach to their smiles and improve their appearance by improving their smiles. The colored materials used in the ancient dentistry are now taking a back seat and the tooth colored fillings are reaching heights in the field of dentistry. Moreover, the patients will be satisfied with the natural tooth colored restorations. The quality of the treatment involved in the cosmetic dentistry is very appreciative as compared to the traditional treatments like amalgam. The materials used in cosmetic dentistry are bio compatible with the tissues and the surrounding structures around the teeth. The life of the cosmetic dentistry treatments are quite long. This keeps the dental health and aesthetics of the patients on track without interfering in the functioning of the natural teeth. 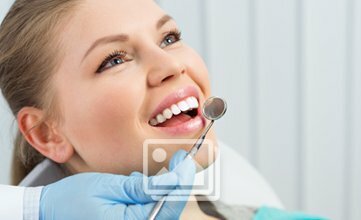 Cosmetic dentistry is evolving in several spheres and several new techniques and solutions are done in order to get the desired results. More number of cosmetic dentistry related companies have made sure to introduce more number of improved aesthetic techniques in the recent times. The best part is that most of the treatments take less time period for completion as well as ensure that the patients will be able to reach their aesthetic goals within an estimated period of time. Moreover, the patients are now able to meet their requirements with regards of their smiles. In this way, cosmetic dentistry has proved to be a boon in the field of dentistry for most of the dental patients who aim to get the best dental treatments done.